It's the ultimate in luxe-boho style! 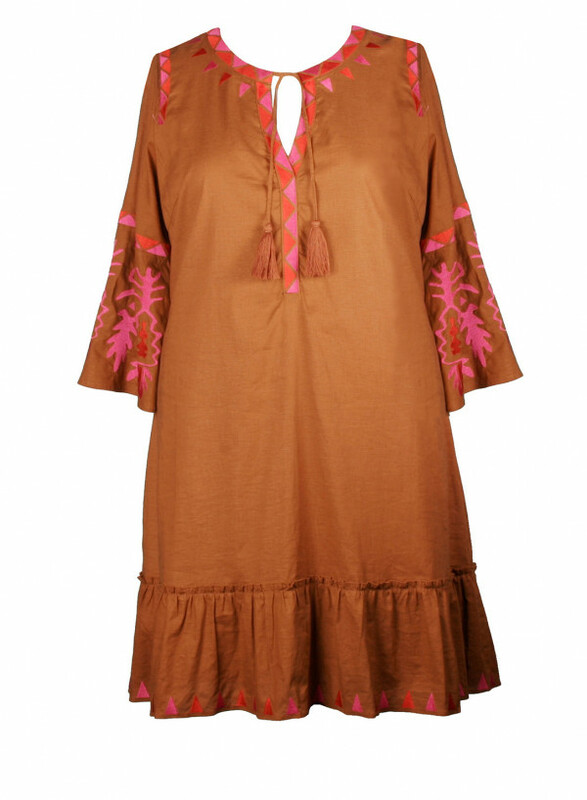 This adorable boho linen tunic dress will definitely get you into the swing of things this season.It falls to just around your knee in an easy, slightly A-line shape with added frill detail and ties at the neck with a playful tassle. The intricate graphic thread Aztec embroidery makes this dress one of Anna's highlights of the season.Hot pink and orange hues on warm cognac linen.